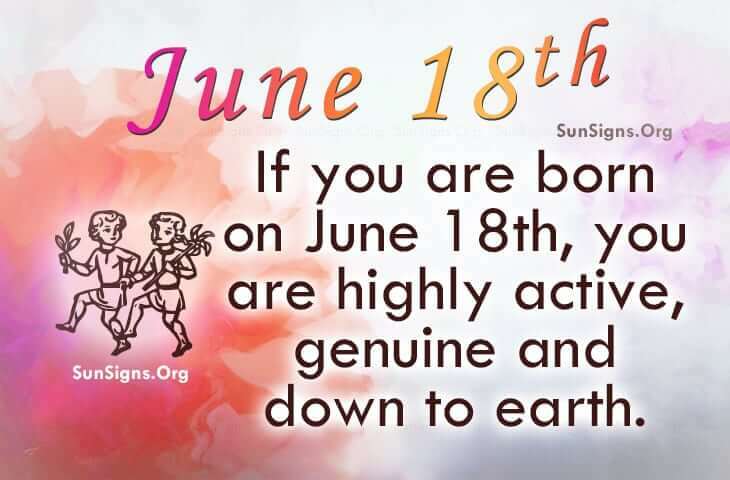 Famous people born on JUNE 18 have a lot of great qualities as a Gemini. They are genuine and down to earth although they have the energy of a two year old. They are moody individuals but of course it’s the good mood that brings smiles to their friend’s and family’s faces. There are times when famous people born on June 18 speak their mind but their words are not so easy to swallow. Routine has a way of bringing them down to a place that could be of a negative environment. It’s typical of a Gemini such as them to have many friends or lovers. Famous people born on June 18 can be described as intense individuals when it comes to love. They are a free spirit that does not want to be tied down to anything or anyone. However, they tend to own a jealous streak. This could place a barrier between them and their loved one. They need to use their natural instincts as a way to overcome their insecurities. Famous people born on June 18th could be a gold digger. They have a zest for life as they like to have fun. Oddly, this aggressive Gemini, has a sharp tongue to boot. They might flirt but make faithful lovers and friends.